The Neuroimmunological Basis of Behavior and Mental Disorders is published by Springer and edited by Allan Siegel, Ph.D. and Steven S. Zalcman, Ph.D.
Neurosciences and immunology developed independently for many years, and thus, the question of how the brain communicates with the immune system remained enigmatic until fairly recently. The immune system has been regarded as autonomous, and the immune and central nervous systems were thought to function independently with little or no interaction between the two. This view has undergone dramatic changes over the past three decades. In fact, it is now known that various feedback loops operate between the brain and immune systems, and that impact significantly upon different behavioral processes, including normal behavior and mental disorders. Pioneering efforts in generating this change were initiated by a number of early investigators. 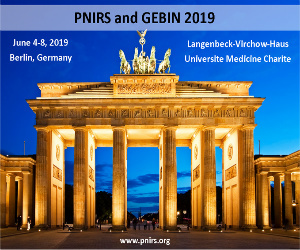 Included were those whose efforts were directed at establishing neuroimmune connections as well as others whose research focused upon the relationship between immunity, cytokines, and behavior. 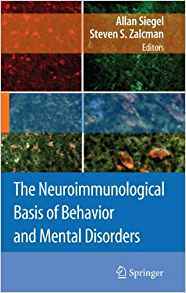 The Neuroimmunological Basis of Behavior brings together outstanding scientists and clinicians who have made major contributions to the rapidly developing field investigating the relationship between immunity and behavior. The book is divided into three parts. The first part describes pathways by which the brain and immune systems communicate and interact with each other. The chapter “Cytokines and the Blood–Brain Barrier” provides insight into interactions between the blood–brain barrier and cytokines. Such interactions underlie basic communication between the immune system and brain that are present in normal as well as in disease conditions. In the chapter “Neurochemical and Endocrine Responses to Immune Activation: The Role of Cytokines,” the neurochemical and endocrine consequences of immune challenge and cytokine administration on central neurotransmitter activity are discussed. Allan Siegel, Ph.D., was awarded his doctorate from the State University of New York at Buffalo in 1966 and was trained in the fields of Neurophysiology, Neuroanatomy and Behavioral Neuroscience at Yale University School of Medicine. He is Professor of Neurology and Neuroscience and Psychiatry at New Jersey Medical School’s University of Medicine and Dentistry in Newark, New Jersey. His research focuses on the anatomical substrates and neurochemical mechanisms, including the functions of cytokines, governing aggression, and rage behavior. Steven S. Zalcman, Ph.D., was awarded his doctorate from Carleton University, Ottawa, Canada in 1990, and was a postdoctoral fellow at the Manitoba Institute of Cell Biology, University of Manitoba Medical School. He received training in Behavioral Neuroscience, Neurochemistry, Anatomy, and Immunology. He held a faculty position in the Department of Psychology, Concordia University, Montreal, Canada, and is presently Associate Professor of Psychiatry at New Jersey Medical School’s University of Medicine and Dentistry in Newark, New Jersey. His research focuses on neurochemical, neuropharmacological, and behavioral consequences of immune activation and cytokine treatment.